We heard this bird before we saw it. 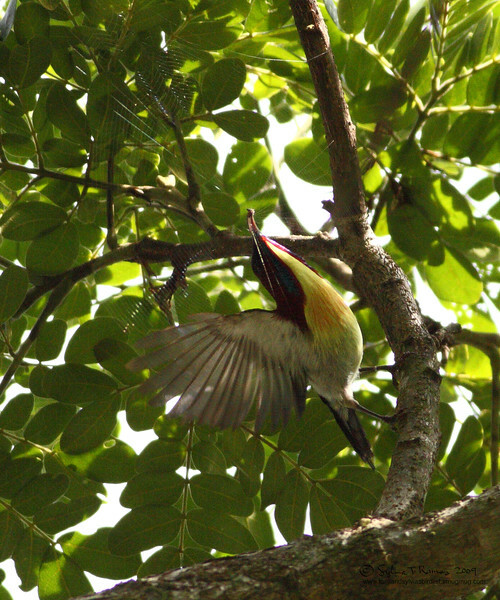 It was just singing away under a big Casia tree in Sabang. The sun was high overhead its such a tiny bird. But what a beauty, it is well named. LOVELY SUNBIRD, male Aethopyga shelleyi Sabang, Palawan Hitting the bullseye!